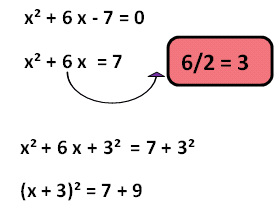 "Complete the square" is one of the methods being applied to solve any kind of quadratic equation. First we have to check whether the coefficient of x² is 1 or not. 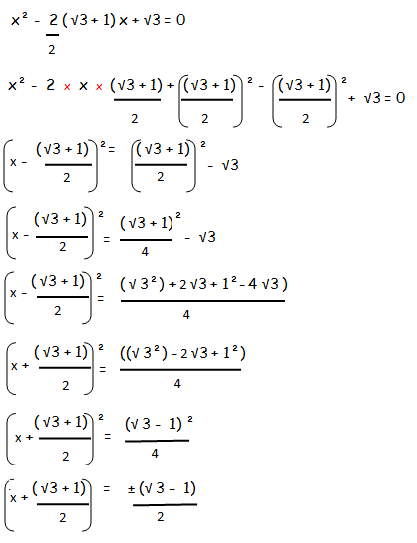 If yes, we can proceed the second step, otherwise we have to divide the entire equation by the coefficient of x². Bring the constant term which we find on the left side to the right side. We have to add the square of half of the coefficient of "x" on both sides. Now the three terms on the left side will be in the form of a² + 2 a b + b² (or) a² - 2 ab + b². Then, we can write (a + b)² for a² + 2 a b + b² and (a- b)² for a² - 2 a b + b². 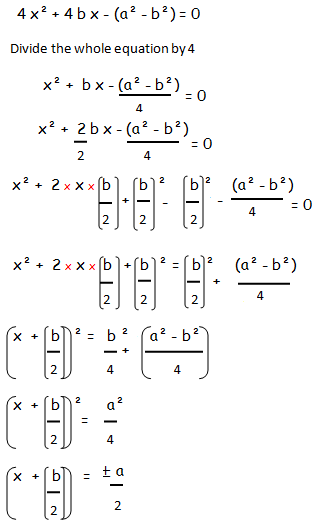 Then we have to solve for x by simplification. We hope that the students would have understood the stuff and example problems explained on "Complete the square".